I love traveling through Germany visiting the various cities and quaint towns. A wonderful country to plan a road trip through. 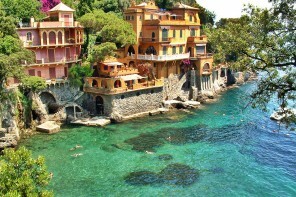 The locals are friendly, and many speak very good English, making it an ease to travel through. 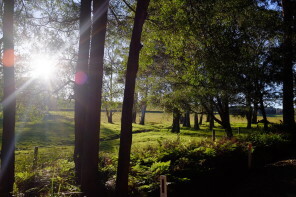 With a terrain of vast forests, rivers and mountain ranges, and 2 millennia of history. 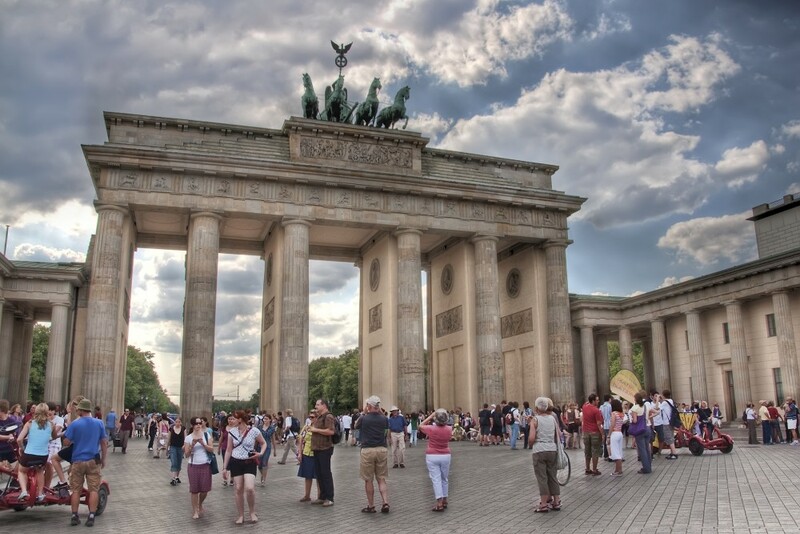 Berlin, its capital, is home to thriving art and nightlife scenes, iconic Brandenburg Gate. 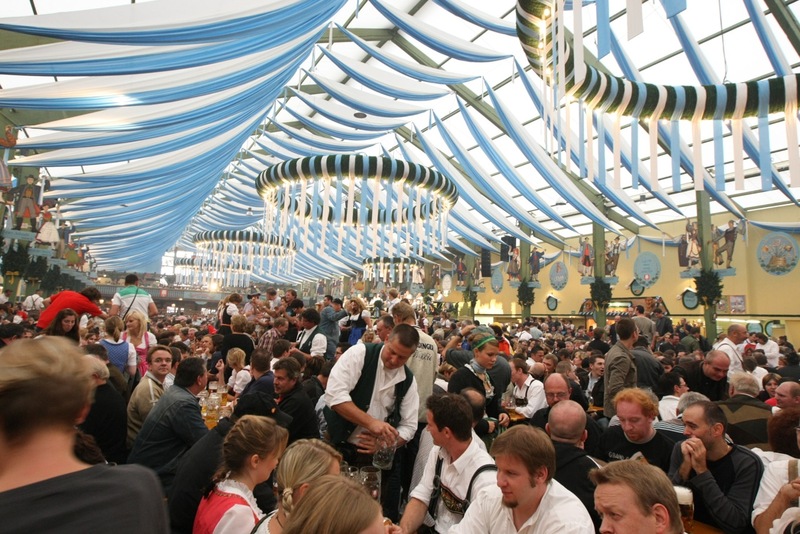 Munich is known for its Oktoberfest and cavernous beer halls, including 16th-century Hofbräuhaus. If you don’t like beer or drinking this will probably not be for you. 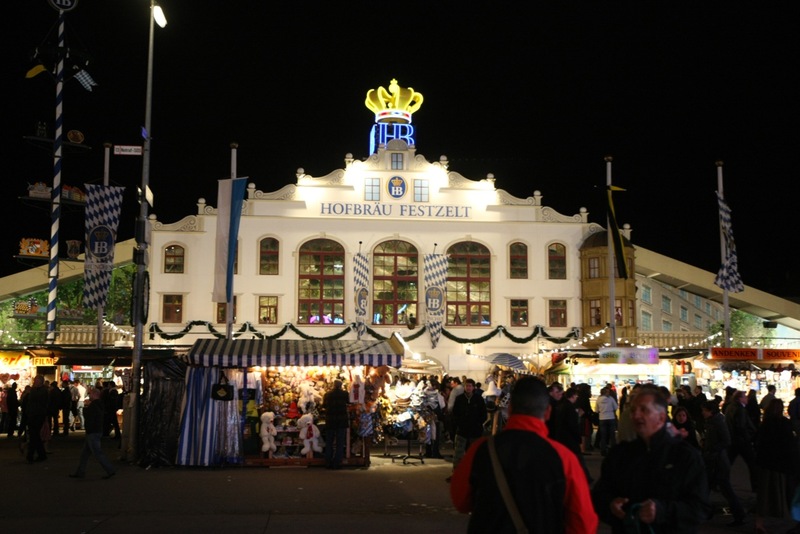 On the other hand its a great place to be an anthropologist if you don’t, as Oktoberfest, held in every year in Munich during October is the perfect place to see German people in their element. Think, singing, cheering, laughter and Lederhosen (traditional German outfit). If not visiting Germany at this time of year than visit the Hofbräuhaus am Platzl The Hofbräuhaus beer hall built in 1589 by Bavarian Duke Maximilian. is a 19th century palace in southern Germany. 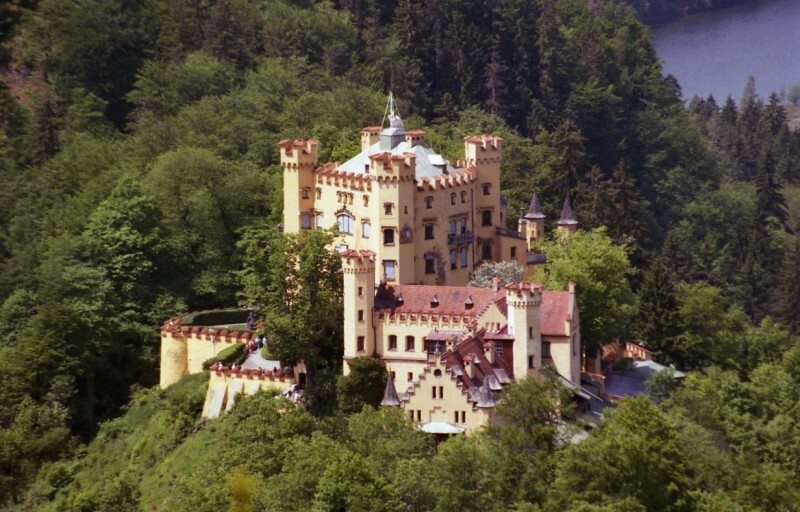 It was the childhood residence of King Ludwig II of Bavaria, this is one castle not to miss in Germany. 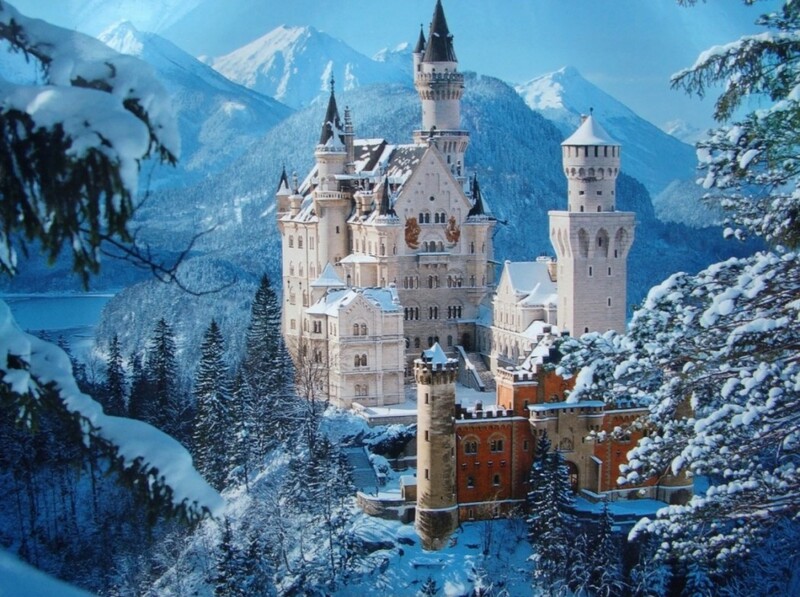 Germany is also home to the castle that inspired Disney’s ‘Sleeping Beauty’ Neuschwanstein Castle (pictured above). Both of these castles are a must see in Germany. 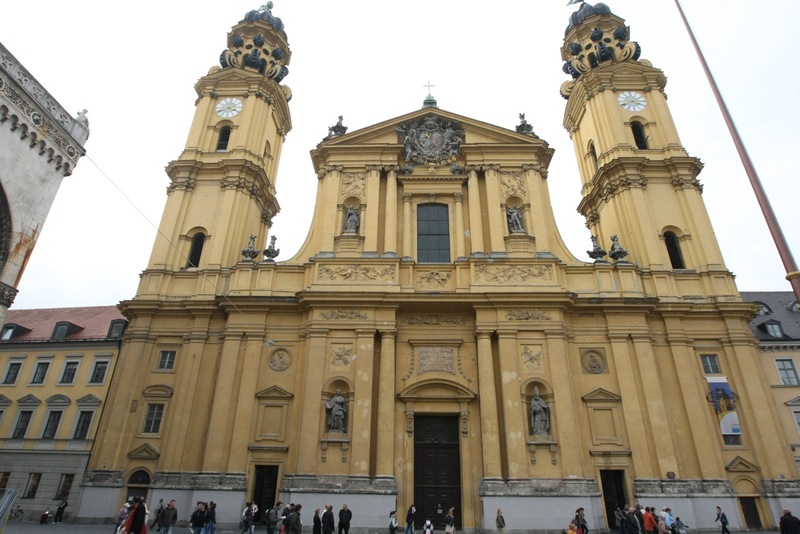 a beautiful baroque edifice, is one of the most significant Benedictine abbeys in the Bavarian Alps, dating back to 1330. Stepping through the gate, visitors are firstly confronted with the impressive facade of the original Gothic church before joining a tour to be introduced to the abbey, the church and the monks’ working quarters. 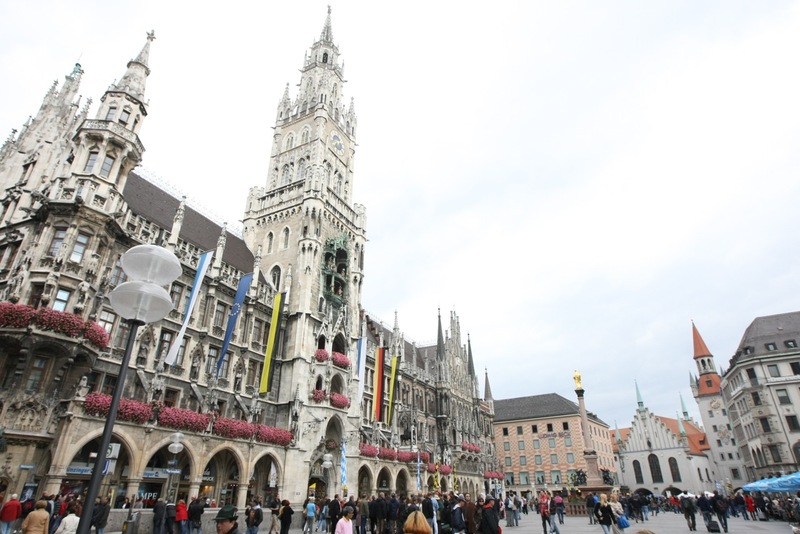 Important public events such as tournaments or executions were still held here, named Marienplatz (St. Mary’s Square) as a way to ask Virgin Mary to protect the town from a cholera epidemic. A very grim history. 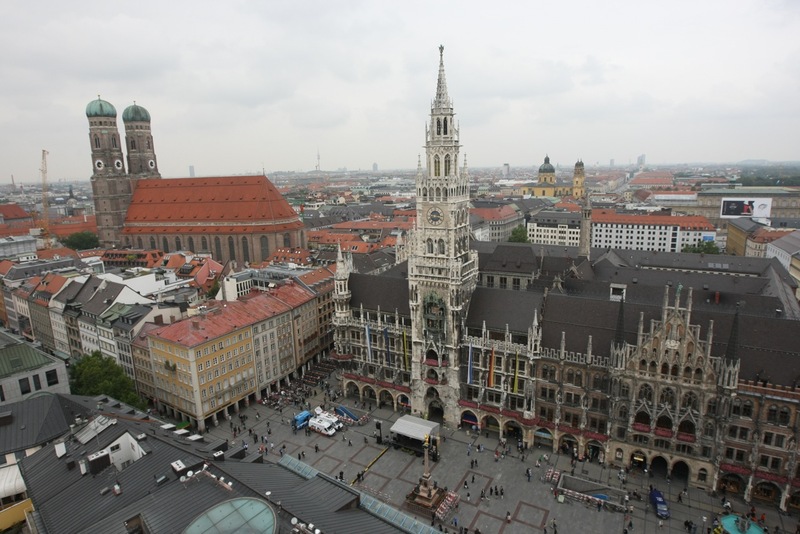 Today this is popular square and you can climb up the clock tower for a view of Munich. 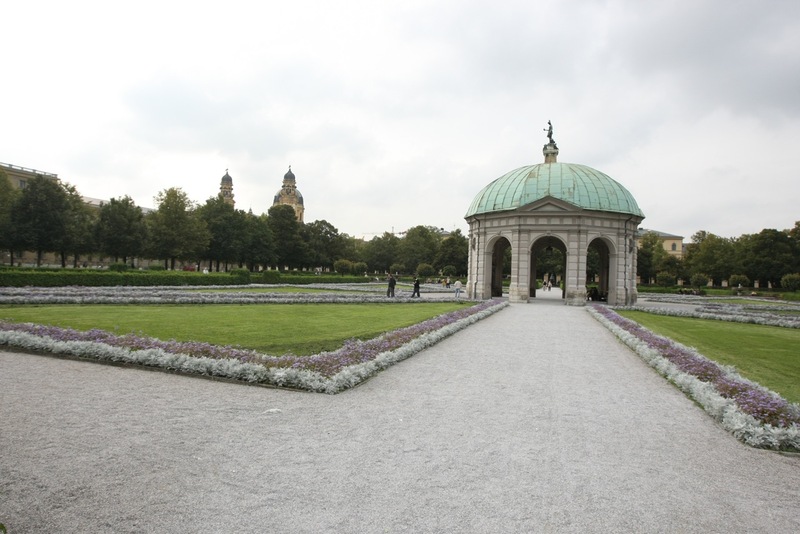 is a large public park in the center of Munich. The English Garden has much to offer, one of the largest parks in the world. One of the coolest things in the park is that people surf in a 2km man-made river that creates a wave. After exploring the park, visit the restaurant ‘Aumeister’, and enjoy a cold bavarian beer in the beer garden. is a daily food market and a square right near Marienplatz. The Viktualienmarkt developed from an original farmers’ market to a popular market for gourmets has over 200 delicious stores to eat your way through. and dates to the 13th century. 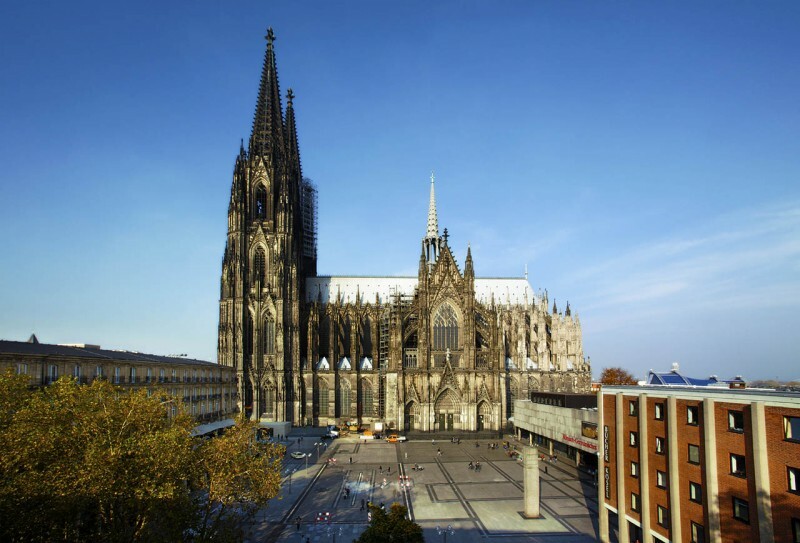 Divided during the Cold War, today it’s known for its art scene, nightlife and modern architecture. Blue skies, green meadows and majestic mountains: just a few words capture perfectly the true essence of the Bavarian Alps. Ride a cable car to the top of the Zugspite, Germany’s highest mountain. ‘Wie Geht’s’? (we gets) is How are you? ‘Prost!’ Means Cheers! This is essential for Oktoberfest. 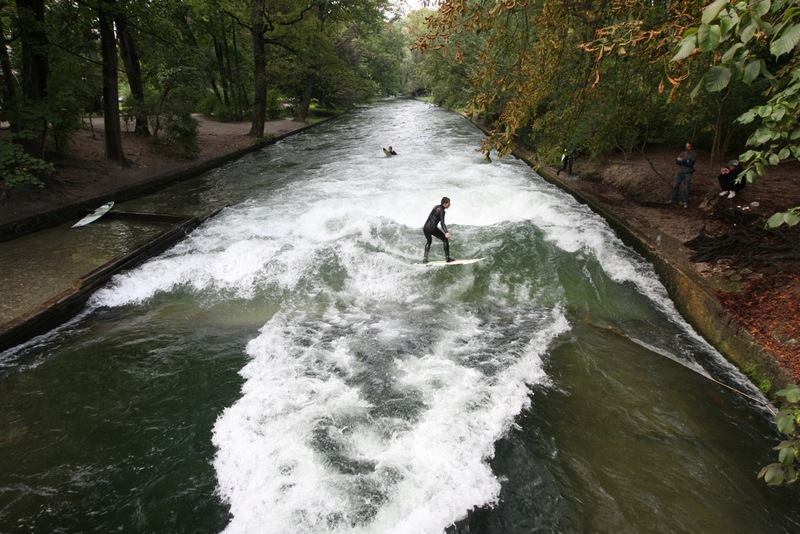 Man-made River Surfing, English Garden Munich, Germany. Englischer Garten, German for “English Garden”, Munich, Germany. I am always surprised that the Northern part of Germany is never mentioned as being a desirable place to visit. Hamburg is one of the most interesting cities in Germany.